Delhi; India: The distance to reach Taj Mahal city from Delhi is approx. 210 kms. It normally takes around 2 to 2 and1/2 hours even by express train. 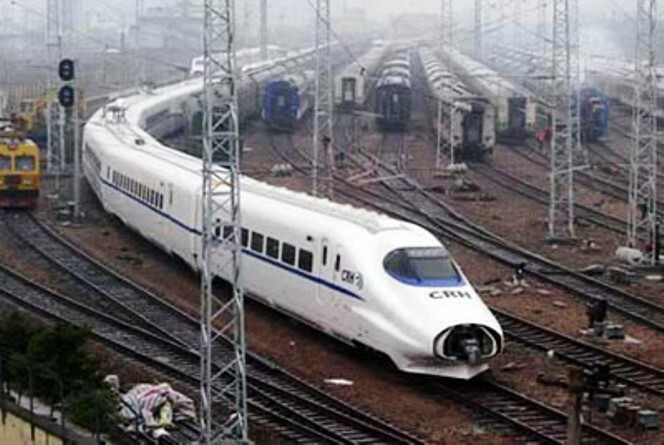 With the proposed bullet train the travelling time can be drastically reduce. With bullet trains on top of Prime Minister Narendra Modi’s agenda, railways have targeted running trains at a speed of 160 kmph between Delhi and Agra by the year-end. The transporter has plans to run bullet trains at 350 kmph between Mumbai and Ahmedabad on an elevated track and six other routes, but is awaiting nod from the top. Meanwhile, the transporter is going ahead with semi-high speed trains between Delhi and Agra by upgrading the existing track. Rail travelers would be able to reach the Taj city in 90 minutes. As of now, Bhopal Shatabdi takes 126 minutes to reach Agra from Delhi at an average speed of 110 kmph. With the increased speed of 160 kmph, the travel time will be reduced to 90 minutes.